Ellis went back and reread each book or series for this project trying to keep her eyes open to the true story and messages they contain. She takes a step back and looks with the fresh eyes of a grown woman who has come to develop her own feministic ideals about the world. Some heroines she felt continued love for, others she saw flaws in for the first time. At the end, Ellis creates an image of all the heroines hanging out together in her home. I love this image of them all getting together and hanging out. They are each there because they have had a part in shaping her as a person. Their presence is continual in how she lives and views her life. It makes me wonder which heroines I would invite to such a party and how they would interact. I thought this book was great. Right up my alley. Ellis takes a very personal journey but one which I would like to replicate for myself with my own collection of heroines. Though I think there are many who have shaped me, a quick inventory would include Belle (Beauty and the Beast), Laura Ingalls Wilder (Little House of the Prarie), Princess Cimorene (Dealing with Dragons), Mandie Shaw (the Mandie series), Anne Shirley (Anne of Green Gables), Offred (The Handmaid's Tale), Hermione Granger (the Harry Potter series), Katniss Everdeen (the Hunger Games series), Edna Pontellier (The Awakening), and Scout Finch (To Kill A Mockingbird). Perhaps I'll have to write my own reflection - or at least revisit some of these powerful women. Who would you invite to your influential heroine party? "Anne's [Anne of Green Gables] joy in life is bolstered by her altruism, her willingness to work hard, and her commitment to friendship." "real men liked bookish girls. It said so in Pride and Prejudice." "one day her [Mitchell - Gone with the Wind] world might explode and only education would save her." Will I Re-Read: I think so. 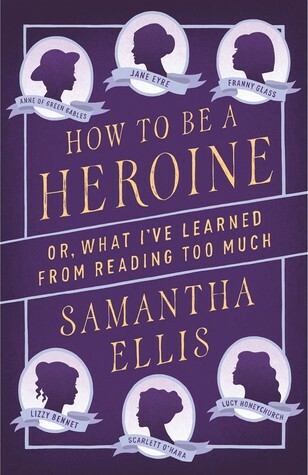 A Reduced Review: Unique and brilliant - Ellis's reflection on the heroines who have shaped her is an engaging and enjoyable journey.